Did you miss seeing the launch of these five new ceramic pieces? There is a little something for everyone here, and if you love mugs you definitely won’t want to skip this post. Badass Grandmother mugs: A cigarette. A Bowie knife. A dirty sweatshirt and a cozy red flannel jacket. A wicked smile, a glint in her eye, and an enthusiasm for all life has to bring – and in the wilds of Alaska in the late 1940s and early 1950s, life brought some pretty wild things. This woman faced driving the AlCan highway alone with her two toddler sons, cleaned and cooked the fish she caught herself, fed and nursed orphaned baby bears, and took in lonely soldiers at Christmas when they were on leave in a city far from their families. And as you can see by her face, she took no crap when she was doing all that, too! In spite of the fierceness of this photo, she was also patient, loving, creative, and above all, loved to have fun. Wouldn’t you just love to have a cup of coffee with a woman like that? Now you can. Cabled Sweater bowls: The companion piece to the cabled sweater mug, this little bowl is absolutely perfect for a serving of ice cream, soup, or morning cereal (or, let’s be honest… dinner cereal!). Be the envy of your yarn-loving friends when you share photos and this is included; inspired by Aran sweaters, the cable detail is sure to invite oohs and aaahs from your friends. Cabled Sweater mugs: Oh, sure, you could knit a little sweater for your mug… or you could just get a mug with a sweater already on it! Inspired by Aran cabled sweaters, this mug fits perfectly into your hands as if it was made with you, specifically, in mind. It’s the perfect thing to sip your tea or coffee from while you’re knitting or crocheting your latest project! “I am not afraid of storms” mugs: Has the storm of life sometimes tossed you about, as you try to hold on and just weather it? The seas we sail are not always calm, and many people spend time getting knocked around by the swells of the waves and the gusts of the winds. Then a time comes – maybe there is clear weather, or maybe you just get tired of the storms – and you take control of your ship. You point your ship, your life, in the direction you want to go, and you learn to weather the storm and steer in your own direction. If you are learning how to sail your ship, this mug can be a daily reminder that you, in fact, are the captain of your own ship, your own destiny. “She is too fond of books” mugs: Perhaps you have more books than you have shelves. Maybe you have piles of books on the floor, or your shelves are stacked two – or even three – books deep. 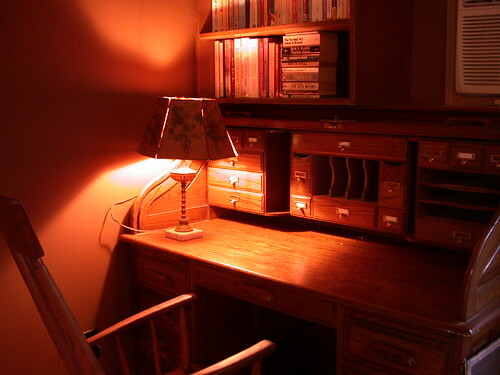 You might have to move piles of books off of the small table by your favorite reading chair before you can rest your cup of tea and curl up for a while. If this is you, and if you’ve ever lost yourself in a book so much that most of your head is still there even after you close the covers, if you’ve ever been thought of as “strange” or “nerdy” for wanting to read almost more than anything else… this is the mug for you.